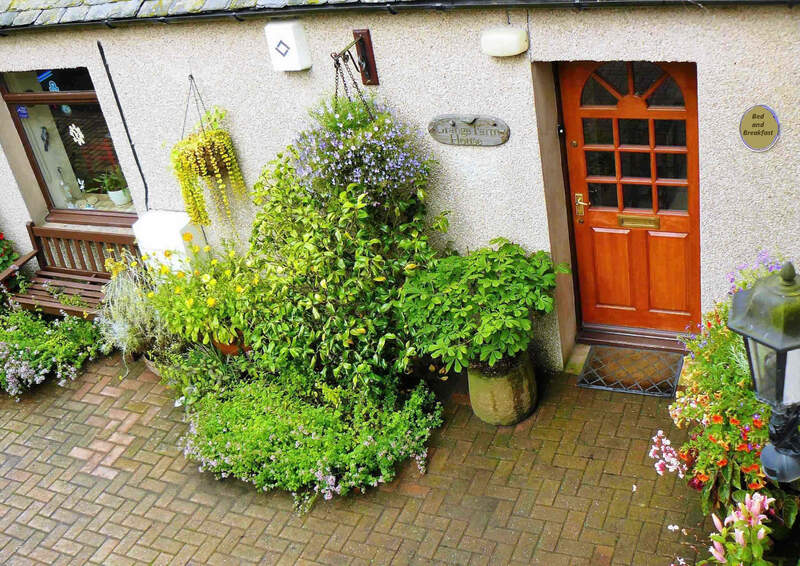 Countryside location, but not on a working farm, a mile from the town centre and within sight and walking distance of Dunfermline Abbey. The house is around 150 years old with period features including a spiral stair and ornate plaster work. We provide B&B accommodation since 2008 catering for a maximum of six guests. Our king-size double room is ensuite, which converts to a family suite for four and the other room can be a double, or twin bed room with an external private bathroom. Please note that all our bedrooms are up one flight of stairs. Free WiFi internet access is available in all rooms using a unique password. Free off-street parking at the entrance to the house. Free use of lockable garage for bicycles and motorbikes. Free travel cot for children under 2 years by prior arrangement. Large colourful garden with a patio area for guests use. for South Dunfermline and at junction 3 for the city centre. Bus No.747 leaves Edinburgh Airport every 30 minutes for Dunfermline P. & R.
to NCR 1 via Kirkliston to Forth Road Bridge. 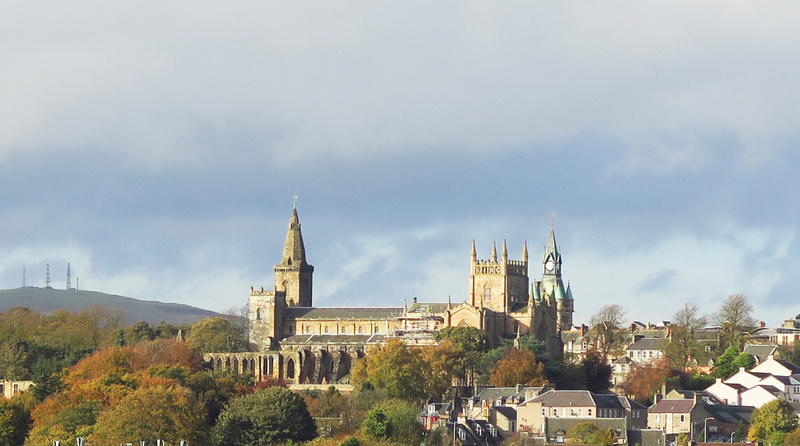 for buses, at Halbeath and at Ferrytoll on the periphery of Dunfermline.